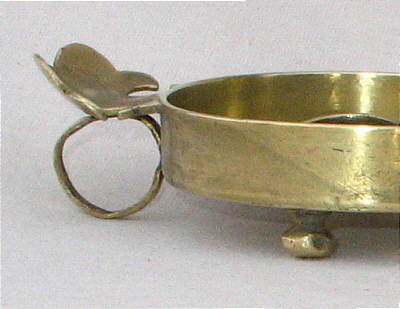 This piece of brass most likely originated in France sometime in the second half of the 18th century. 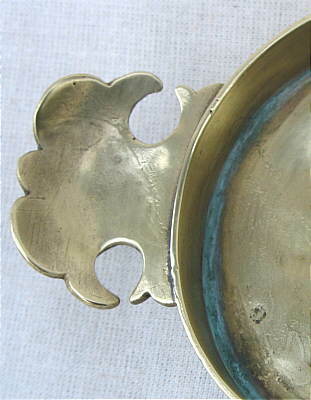 The tray is a form we have not seen before, and the snuffer is well made with good details. $ Tray is 9" across.